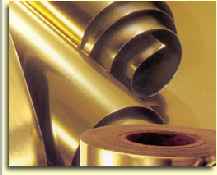 Foil laminations for vapor barrier packaging of medical products - Rollstock is made with a solvent-less laminator. This diminishes the potential of compromising product ingredients through odors associated with solvent migration from the lamination. Advanced vapor barrier protection keeps fragrance in, and odors out; offering vapor barrier protection. In-house lamination also contributes to rapid turnaround rates for customers.